A sneak peak into the classes from 1st to 8th Grade. Look at the beautiful projects the girls made to show their connection to the Rebbe. Look at our handmade Sukkahs! So many different kinds- edible ones, wooden ones, real fun and creative ones! 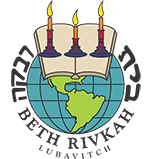 Local women visit grade 5 on vov tishrei to speak about their memories of Rebbetzin chana. Room 420 prepares for Rosh Hashana! Our students throughout the week before Rosh Hashana. 8th Grade graduating class photo! Bais Rivkah students on their first day of school! Before receiving their very first Chumashim, 2nd graders experienced a live Sofer demonstration!